Pro Tip: "Avert Dry Flowable is a great product for german roaches - Especially in apartments because it lasts so long. Use your gel baits in the cabinets and Avert in cracks and crevices. One tube of Avert goes a long way." Avert Dry Flowable Formula One is one of the most attractive baits on the market today. It remains effective for more than one year after initial treatment. Avert Dry Formula roach bait can be used in food handling establishments.The dry formula reaches void areas that gels and bait stations cannot reach. Avert Dry Flowable is a dry formula that floats very easily to its targeted area. The dry formula of Avert Dry Flowable reaches void areas that gels and bait stations cannot reach. Avert Dry Flowable Formula One is one of the most attractive baits on the market today. It remains effective for more than one year after initial treatment. Avert Dry Formula roach bait can be used in food handling establishments. The dry formula of this roach bait reaches void areas that gels and bait stations cannot reach. Avert Dry Flowable contains essential food attractants that cockroaches readily feed upon. Avert is applied into cracks, crevices, and voids, the places where cockroaches spend most of their time. Avert Dry Flowable is a great product for german roaches - Especially in apartments because it lasts so long. Use your gel baits in the cabinets and Avert in cracks and crevices. One tube of Avert goes a long way. Ants, Booklice, Carpet Beetles, Cockroaches (including carbamate, organophosphate, organochlorine and pyrethroid resistant strains), Crickets, Drugstore Beetles, Earwigs, Flour Beetles, Grain Weevils, Pillbugs and Sowbugs. INDOOR TREATMENTS COCKROACHES, ANTS AND CRICKETS: Apply thoroughly to all areas where these pests crawl and hide, especially in cracks and crevices and hidden surfaces around sinks and storage areas, behind baseboards, around doors and windows, cabinets, stoves, behind refrigerators and in attics and crawl spaces. EARWIGS, PILLBUGS AND SOWBUGS: Apply in cracks and crevices around doors and windows and other places where these pests may enter premises. Treat voids and other enclosed locations where these pests are found. PANTRY PESTS - Including Drugstore Beetles (exposed adult and larva stages), Flour Beetles and Grain Weevils: Remove all food and shelving paper before treatment. Treat cracks and crevices and/or voids where these insects may be harboring or hibernating. Infested areas include, but are not limited to, cracks and crevices in cabinets, pantries and wall voids. During follow-up visits, inspect bait placements and reapply when necessary. Cover shelves with shelving paper after treatment. Destroy infested food packages. CARPET BEETLES - Including Black, Furniture and Varied: Apply to cracks and crevices where these insects are found. As needed, although it lasts up to a year in an applied area. I used Advion first with good results. Then tried Avert and it stomped them out. Love it! Thanks DIY. I tried the Avion first and it did well but the Avert stomped them out completely. Love it! Thank you DIY. Worth every penny and much more. Easy to use and got AMAZING results. I used with the Vendetta roach bait disc. I definitely recommend! The detailed application information and pro tips were extremely helpful. 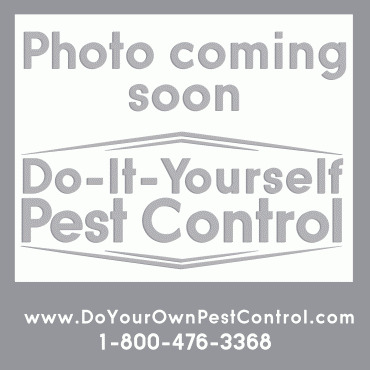 i had try to get and my pest control places wouldn't sale to me.i got on Internet and found this company. anytime i need something for pest control there gonna get my buisness.the avert, i put on back top of my counter top ,under my stove,under my sinks,under icebox,under coffee pot and roaches are gone.the best stuff i have ever used. I tried a lot of things before, I. So happy with this product. I had a decent infestation of German cockroaches. This product stopped them in about a week or so. Have not seen any since. Avert Always works. Smells like beef bullion/ramen noodle flavored powder. German roaches really go for this. The ones I saw appeared to be lost or looking for new digs. I know I don't have an infestation so my guess is they are coming from apt upstairs. Treated areas where I saw them, have not seen any in over a week. A must use for roaches! I used this about 3 to 4 weeks ago around my dishwasher where i was seeing 2 to 3 roaches a week. I must say i haven't seen 1 roach since ive used it! My fiancé is happier than me! Used this product together with Maxforce Impact bait, and knocked off a german roach infestation in about 2 weeks. Good stuff. And thanks, DIY Pest Control....I hate those little Nazis! I live in South Texas and had been renting my condo but when I moved back permanently, I noticed both large roaches and the small German roaches. Pest control came to spray: no effect. I bought and put out the Advion baits and used Avert behind electric plug plates, behind the stove, and around the dishwasher and ALL ROACHES ARE GONE!!! Another benefit of AVERT is fire ants hate it which makes me very happy. I just wanted to update. Mine was the first review for Avert on this customer review post. That was two years ago. I see NO roaches anymore. None. If you are looking to eliminate roaches, this is your product. Look no further. I have several dogs inside my home and can not spray so I thought I would give this a try. I have had a REAL infestation from a "Filthy Grandmother" bringing them after they have crawled out of her purse! This turned into a nightmare! They are almost gone! I am now going to purchase the Avert to go with it! Thanks! nice price, and really does the job. Has no smell. Put it in the cupboards with your dishes, behind the stove and fridge and forget about bugs. It didn't bother my cats either. The order arrived at an earlier date than expected; product met our expectations and more. Thank you for the quality of service and the product. Avert Dry Flowable is, in my opinion, the best bait option on the market for German cockroach elimination. Bait acceptance is high and residual action is long-lasting and palatable for months after application. I have used this product successfully when gel baits and other means have failed to eliminate activity, and highly recommend it to anyone who is serious about cockroach prevention. German roaches to know that they will multiply. Either way this saved me so much in extermination fees. Thank you for this product! We used two products from DIY Pest Control, Avert Dry Flowable and Advion. The Avert was easy to use and went a lot further than I thought it would. I put the Avert all over my kitchen but especially in one spot that I knew there was a nest because I would see them running in and out of it at night. I have been amazed at the result. I no longer see roaches there at all. From the first morning after treating I had a pile of dead and dying roaches in the floor. I would sweep it up and two hours later there would be a new pile. This kept up for days. We put it in and around the back of the fridge where we often saw them and we no longer see them there either. I have an unopened tube that my husband is going to put out in the attic and all over the rest of the house. Thank you for such a great product. BTW... DIY Pest Control just do a great job. I have and will continue to recommend them to all of my friends. You guys ship fast and I couldn't be more pleased with the products you sell, I had tried everything including pest control services and nothing worked. Thank you for helping me with a problem that I no longer knew what else to do about.